Wednesday 31st May and Thursday 1st June 1916. 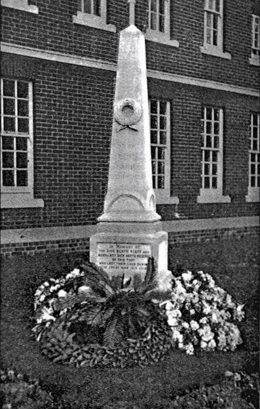 Haslar by names denotes commemorated on the WWI Surgeons, QARNNS and VAD Memorial positioned at Haslar, Chatham and Stonehouse. The Stonehouse Memorial also carried Sick Berth Ratings names. (PO) Denotes Portsmouth Rating. (D) Devonport Rating other names believed to be Chatham ratings. Attdt denotes Attendant. Highlighted ships were either sunk, or damaged with Surgeons and Sick Berth Branch loss of life or injury. Battle of Jutland a shell from either the Lützow or Derfflinge penetrated the front of 'Q' turret, blew off the roof and detonated the mid-ships magazines, which blew the ship in half. The explosion possibly ignited 'A' and 'X' magazines the ship sank in 90 seconds. Of her complement1026 officers and men were killed and only 6 men survived rescued by HMS Badger. Note: One would expect sick berth senior rates to be carried but casualty lists only mention Petty Officer, or Chief Petty Officer but no mention of in which branch they served. BRIGGS, Henry C, Sick Berth Attdt, M 7466 (PO), died of injuries. Hit by shells both fore and aft by Derfflinger‍ ' and broke in half and lost with all but 80 of the crew. Note: One would expect sick berth senior rates to be carried but casualty lists only mention Petty Officer , or Chief Petty Officer but no mention of branch. HMS Defence in Battle of Jutland was escorting the main body of the Grand Fleet, the ship was fired upon by one German battlecruiser and four dreadnoughts as she attempted to engage a disabled German light cruiser. She was struck by two salvoes from the German ships that detonated her rear magazine. The fire from that explosion spread to the ship's secondary magazines, which exploded in turn. There was no survivors.and the ship exploded at 6:20 with the loss of all men on board; of which between 893 and 903 men were killed. Battle of Jutland, Indefatigable was hit around the rear turret by two or three shells from Von der Tann. She fell out of formation to starboard and started sinking towards the stern and listing to port. Her magazines exploded at 4:03 after more hits, one on the forecastle and another on the forward turret. Smoke and flames gushed from the forward part of the ship and large pieces were thrown 200 feet (61.0 m) into the air. There were only 2 survivors. Note: One would expect sick berth senior rates to be carried but casualty lists only mention Petty Officer, or Chief Petty Officer but no mention of which branch. 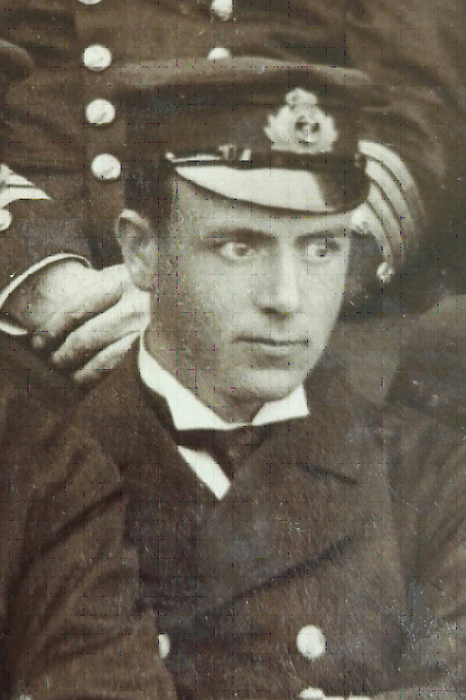 HMS Broke attacked in the Battle of Jutland and Surgeon Ferris was one of the 50 crew killed in the attack after the following action:. The remaining ships of the 4th destroyer flotilla formed up behind Commander Walter Allen of Broke, who was the half-flotilla leader and now assumed command. At around 23.40 large ships were again sighted and Allen attempted to challenge. Before he could do so, the German battleship Westfalen sent her own recognition signal and then turned on searchlights. Broke attempted to fire torpedoes, but the range was very short, in the region of 150 yards (140 m), and the German ship opened fire first. The effect was devastating so that within a couple of minutes 50 crew were killed and another 30 injured, disabling the guns and preventing any effective activity on deck. The helmsman was killed at the wheel, and as he died his body turned the wheel causing the ship to turn to port and ram Sparrowhawk. Both ships had already turned to port from line ahead to line abreast to fire torpedoes. Sub Lieutenant Percy Wood saw Broke coming towards them at 28 knots, heading directly for Sparrowhawk‍ '​s bridge. He shouted warnings to crew on the foc'sle to get clear, and then was knocked over by the impact. He awoke to find himself lying on the deck of Broke. Wood reported to Commander Allen, who told him to return to his own ship and make preparations there to take on board the crew of Broke. Two other men from Sparrowhawk were also thrown onto Broke by the collision. Returning to Sparrowhawk, Wood was told by his own captain, Lieutenant Commander Sydney Hopkins, that he had just sent exactly the same message across to Broke. Approximately 20 men from Sparrowhawk evacuated to Broke, while fifteen of Broke‍ '​s crew crossed to Sparrowhawk. At this point a third destroyer, HMS Contest steamed into Sparrowhawk, removing 6 feet (1.8 m) from her stern. Contest was relatively unharmed and able to continue underway after the collision. Broke andSparrowhawk remained wedged together for about half an hour before they could be separated and Broke got underway, taking 30 of Sparrowhawk‍ '​s crew with her. Broke remained able to manoeuvre, although she had lost her bow. At around 1.30 AM the ship again encountered German destroyers which fired about six rounds into Broke, which managed to return one shot before the ships separated. The ship proceeded slowly towards Britain but by 6.00 AM on 2 June found that she could no longer travel into the high seas with her damaged bow and had to turn back towards Heligoland. The seas abated and the ship was able to head for the Tyne, arriving some two and a half days after the engagement. HMS Nessus relevant information not found concerning Battle of Jutland, ship not sunk broken up post war. HISLOP, John Temp/Surgeon Probationer RNVR Haslar Killed. Photo available. HMS Ardent was Sunk by Westfalen at Battle of Jutland on 1 June 1916. MACINTYRE, John Ebenezer Temp/Surgeon Probationer RNVR Haslar killed. HMS Shark was sunk by a torpedo launched by the German torpedo boat S54 and which hit the ship abreast of the aft funnel. Black Prince briefly engaged the German battleship Rheinland at about 23:35 GMT, scoring two hits with 6-inch shells. Separated from the rest of the British fleet, Black Prince approached the German lines at approximately midnight. She turned away from the German battleships, but it was too late. The German battleship Thüringen fixed Black Prince in her searchlights and opened fire. Up to five other German ships, including battleships Nassau, Ostfriesland, and Friedrich der Grosse, joined in the bombardment, with return fire from Black Prince being ineffective. Most of the German ships were between 750 and 1500 yards of Black Prince — effectively point blank range for contemporary naval gunnery. Black Prince was hit by at least twelve heavy shells and several smaller ones, sinking within 15 minutes. There were no survivors from Black Prince‍ '​s crew, all 857 being killed. Note: One would expect sick berth senior rates to be carried but casualty lists only mention Petty Officer, or Chief Petty Officer but no mention of, which branch. Robert Hill, C.V.O. Deputy Surgeon General. The principal Medical Officer of the Fleet Flagship. 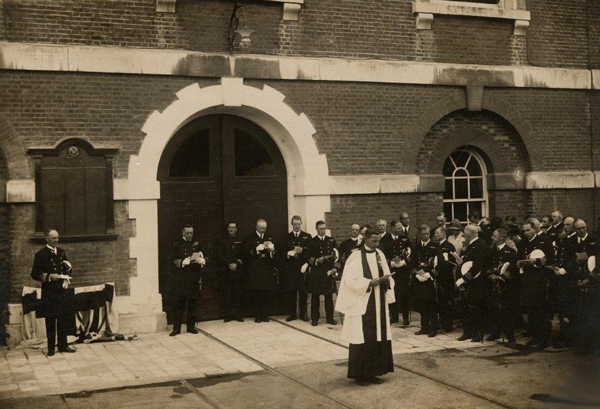 His excellent organisation and services before and after the action were of great assistance, and contributed much to the well-being of the wounded. Arthur Reginald Bankart, C.V.O., M.B., K.H.P. Organised his department for action in a most efficient manner. Order of St Anne 3rd Class (with swords). Sick Berth Steward Charles Robert Allwright DSM, O.N. 351201. The D.S.M. was awarded to Charles Robert Allwright for bravery and resourcefulness on active service at sea and set an example of bravery and resource under fire, but without performing acts of such pre-eminent bravery as would render Charles Robert Allwright eligible to receive the Conspicuous Gallantry Medal. The following awards has been made in connection with the recommendations of the Commander-in-Chief for services rendered by Petty Officers and men of the Grand Fleet in the action in the North Sea on the 31st May- 1st June, 1916. Commended for good Service.